Photo Caption: Who can #guesswhere this amazing calm beach is? Comment below. Follow @secretcapetown for more and tag us or use #secretcapetown to be featured. The long sandy of the Kraalbaai Beach forms part of the multi-functional Zone A of the Langebaan Lagoon in the Western Cape. The beach is 1.1 km from the centre of Kraalbaai and about one and a half hour’s drive from Cape Town. To reach the beach, you need to drive around the Langebaan Lagoon, through the popular West Coast National Park. You will find the beach just before entering the restricted gates of the Postberg section of the park, which is only open from August to September. The lagoon’s turquoise water does not only attract numerous bird and other marine life but also attracts beach-goers. The tranquil and secluded atmosphere of the beach makes it one of the most visited beaches in Langebaan. Its calm, warm and shallow waters make the beach an ideal swimming spot. The beach is also perfect for romantic walks on its pristine white sand and picturesque views of the Atlantic Ocean. Kraalbaai Beach also features small houseboats in the lagoon area next to it. Book a house boat now. Kraalbaai Beach offers great conditions for families and water sports enthusiasts. Families from all walks of life can enjoy a picnic on the beach, especially on weekends. Aside from picnics, swimming, sunbathing and long scenic walks — visitors can also try tons of exhilarating water sports such as surfing, water skiing, kitesurfing, wakeboarding, boating, kayaking, and water skiing. Or relax with fishing and angling. 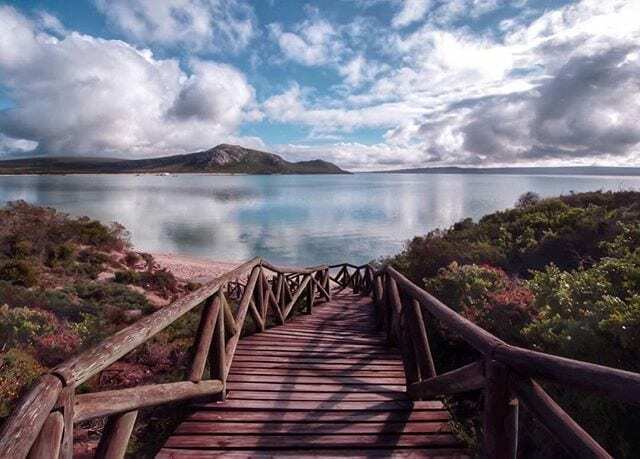 You can also hop on a guided boat tour to explore the Langebaan Lagoon and its surrounding plant and animal life. Kraalbaai Beach is a favourite among locals and tourists. 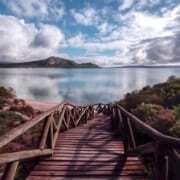 Facilities include a wooden boardwalk, jetty, ablutions, plus a picnic and braai area. There are, however, no shaded areas so be sure to put on sunscreen and don’t forget beach umbrellas or gazebos. No alcohol is allowed on the beach, so don’t include it in your picnic basket. The beach is open daily from 7 am to 7 pm. With its stunning scenery, fun picnic and braai opportunities and numerous fun beach activities and extreme water sports — this secluded pristine beach is definitely a must-visit!